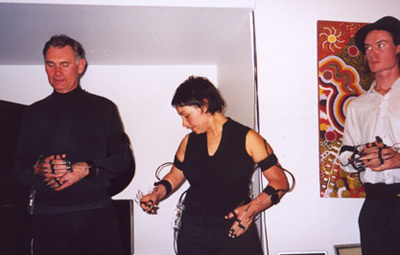 HyperSense Complex is an ensemble of performers (Dr. Alistair Riddell, Somaya Langley and Simon Burton) utilising custom-built sensor and micro-controller technology in a networked performance environment. 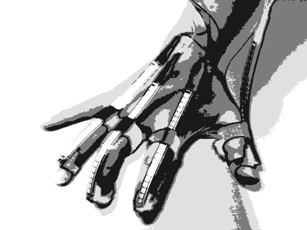 The technology has been developed to be wearable, providing a more intuitive human computer interface. 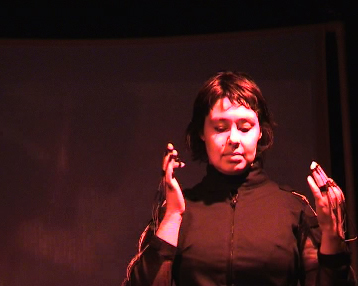 This in turn offers an alternative approach to the experience of live electronic music performance, for both performers and audience. 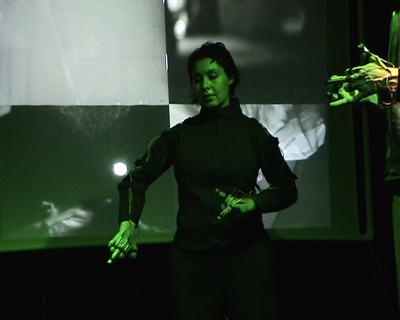 In a performance context, the audience experiences movement of the performer's hands and bodies as controlling sonic environment. 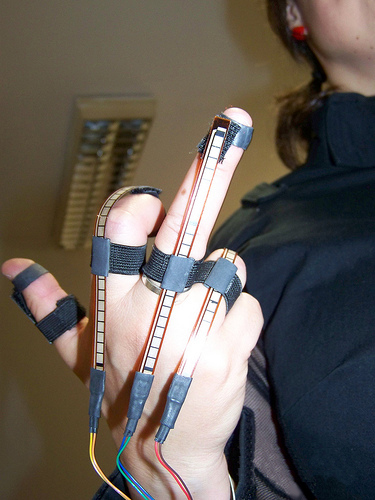 Each performer wears eight flex-sensors strapped to the fingers. 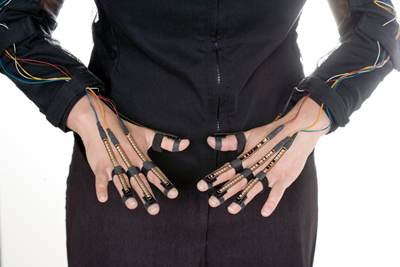 Movement of the sensors on the fingers is detected and generates signal, which is sent via cabling running along the arms to the micro-controllers. The micro-controllers convert signal to data using ADC. This is passed over extended USB connections to a Macintosh G4 PowerBook running Python scripting. The Python code interprets each of the performer data streams and interpolates the data into a composition framework and the output is sent via OSC to a second laptop running SuperCollider3. The second laptop handles control of audio samples, live audio signal input and effects. 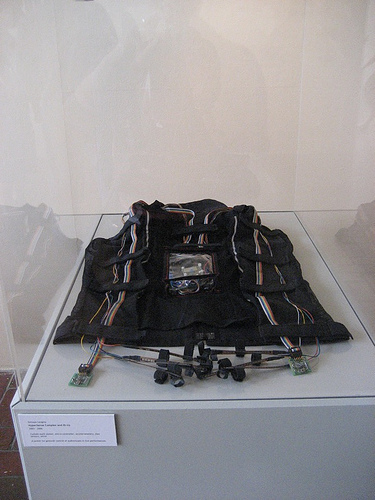 HyperSense Complex jacket and sensors were exhibited at the re:Skin workshop, Canberra School of Art Foyer Gallery, January 2007. 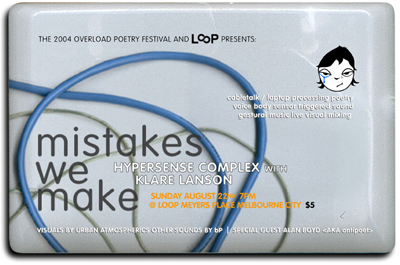 Performed in collaboration with performance poet Klare Lanson at the 2004 Poetry Festival, Loop Bar, Melbourne, Sunday 22nd August 2004. 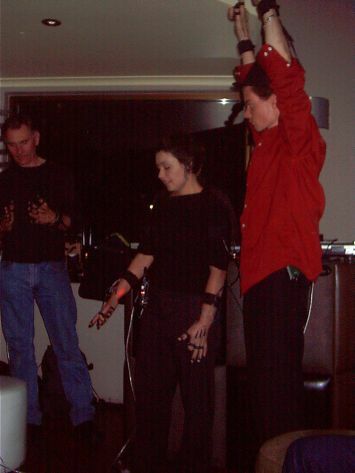 Performed at the International Conference on Auditory Display (ICAD) cocktail party, Sydney, July 2004. 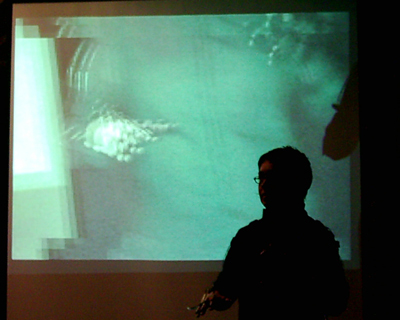 Performed at Vis(i)onic, a one-night festival of live improvised electronic sound and visuals. ANU Arts Centre, ANU, Canberra, Thursday 1st April 2004. 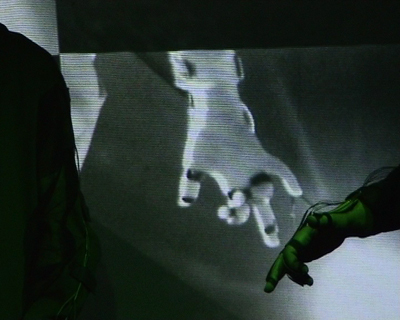 Enter the tunnel to discover a rarely seen dimension of digital performance. 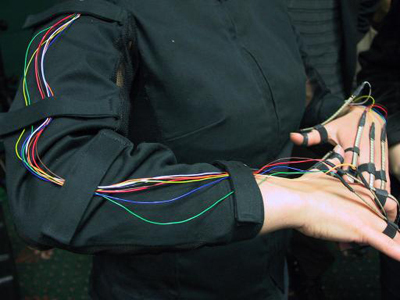 HyperSense Complex attaches sensors to the body to create unique sonic works. HyperSense Complex in collaboration with VJ's and video artists transform the space, taking you into the digital future. SkyLoungers will be enthralled by this captivating and unusual presentation of live sound and video performance. National Museum of Australia, Canberra, 6th, 13th, 21st, 27th February 2004. 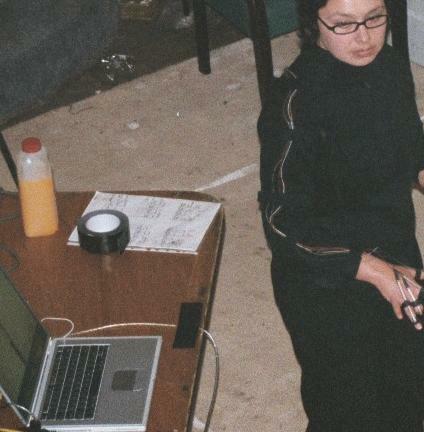 Performed at Gl;tch, Candy's Apartment (hosted by Alon Ilsar and Gauche), Sydney, November 2003. 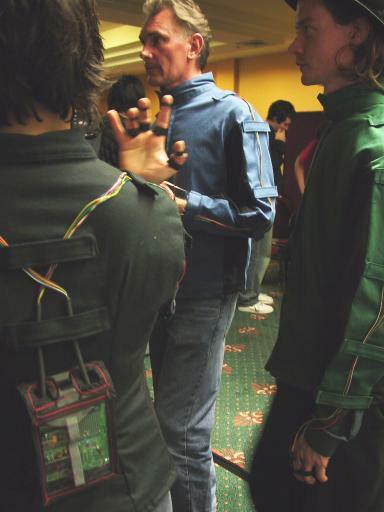 Performed at the Quantacrib at Electrofringe, Newcastle, 3rd October 2003. Performed at Beatdown, Meiso Bar, Canberra, 14th August 2003. 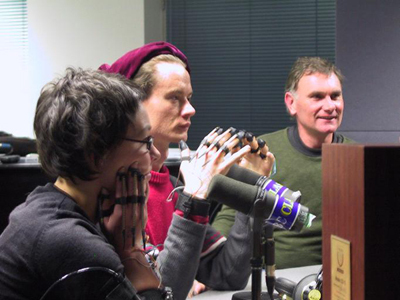 Performed live on ABC Classic FM's New Music Australia radio program hosted by Julian Day, Canberra, 13th August 2003. 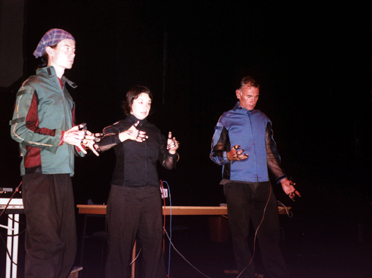 Performed at eXXentricity, a one-night festival of electronic music and a Community Radio 2XX FM fundraiser, Canberra, 31st May 2003. Performed at Bimbimbie along with Australysis and Mitchell Whitelaw, Canberra, 16th April 2003.